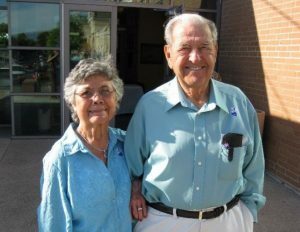 From humble roots Trinidad and Lupe Gomez epitomize the American Dream. Both were from migrant farmworker families who followed the crops in California before settling in Gonzales. “Trini” left school at the age of 12 to work the fields and help support his family. Lupe was a year short of completing high school when she too had to drop out of school to contribute to her family’s needs. After a stint in the Army where he served in the artillery corps, Trini returned to Gonzales to find that his little sister’s best friend had grown to a beautiful young woman. Trini and Lupe were married in 1946 and remained soulmates until his death in 2013. Trini and Lupe were the classic children of the Depression, frugal and with a strong work ethic. Their life together can be defined by a love of agriculture second only to a deep love of family. Trini was one of the first employees of Growers’ Exchange, Inc. Hired as a field supervisor, he was still working at Nunes Company. more than 50 years later when he passed away. During their 67 years together Trini and Lupe raised a family of four. Lupe’s legacy lies in creating the loving, comfortable home for her family which included being the social director extraordinaire for the extended family. Their home was the meeting place for holidays; they hosted summer softball games and barbeques at “the Ranch” for the cousins, aunts and uncles; and Lupe organized several family vacations. In quieter moments, Trini and Lupe enjoyed working in the garden together, bringing their farming roots to their own backyard. Trini and Lupe’s generosity extended beyond their family circle. Even in the lean years, Lupe always found enough to donate to those requests that seemed to fill the mailbox. As discretionary income grew so did their philanthropy. They were regular donors to the Monterey Aquarium and the Steinbeck Center. Upon Trini’s passing in 2013, the many years of hard work and saving for the future brought the family resources which enabled them to create the Trinidad Gomez Family Fund. Lupe particularly liked the idea that the fund “will always be there honoring him and will give back to the community in perpetuity. 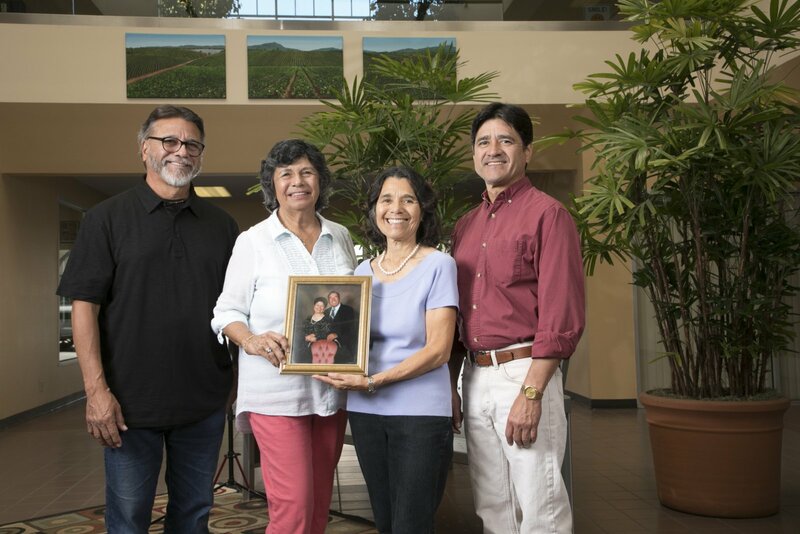 In 2017 when their mother passed, the children renamed the fund to the Trinidad and Lupe Gomez Family Fund of the Community Foundation for Monterey County (CFMC). In creating the fund the family wanted to support activities in the areas that shaped their parents’ lives, agriculture and family. With the help of the CFMC the four children look forward to learning more about the community and recommending grants in these areas. Their daughter Patricia Gomez, who served on the board of the Community Foundation of San Luis Obispo County knew that community foundations could help identify opportunities for them to give in their parent’s name. The fund is truly a family affair. All of the children look forward to continuing to work with the CFMC in recommending grants.